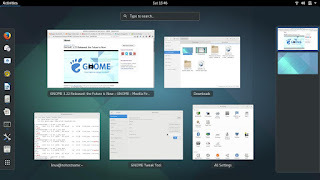 This is an introduction to GNOME 3.22 desktop environment for beginners. 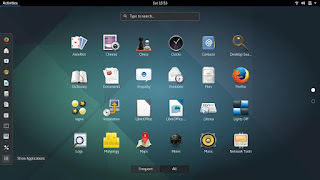 It includes some points about how to use some basic feature in GNOME, to do daily tasks such as file management. I hope every beginner in GNU/Linux will be helped by reading this intro. 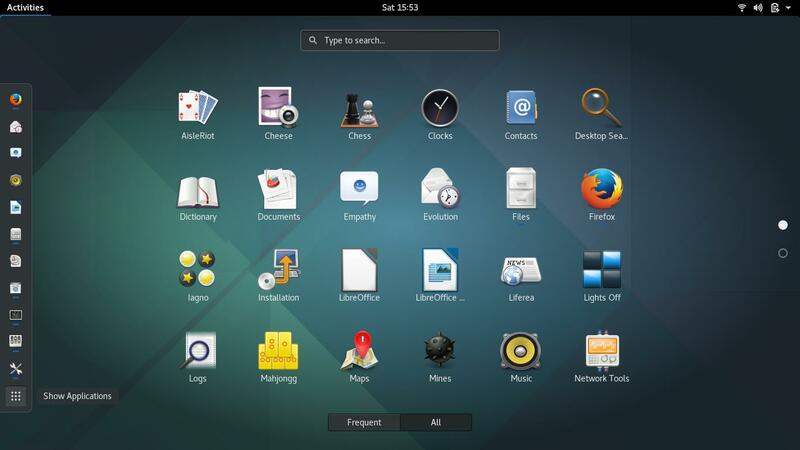 This article is written by using openSUSE Tumbleweed with GNOME 3.22. 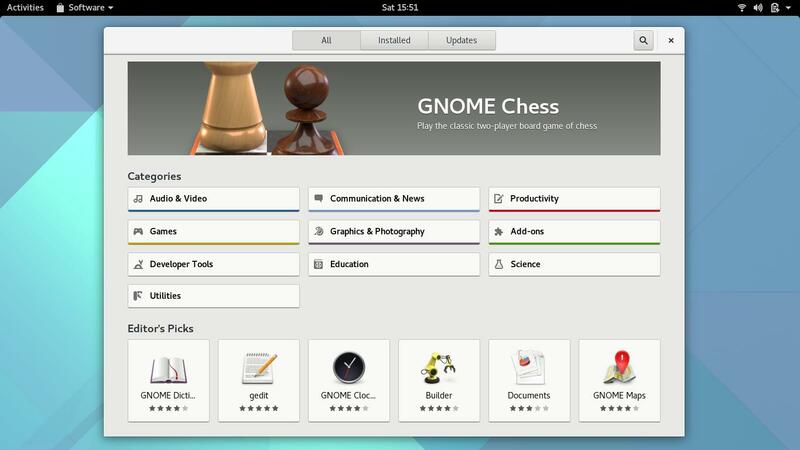 This is how the desktop of GNOME 3.22 looks. To describe it, it is a mobile OS-like interface (the touchscreen oriented one) with a top panel without bottom panel, with application windows running showed as overview at center, and with workspace switcher at right-edge of screen. To run any software application in GNOME, press Super key (the Windows Flag key) and type the application name and press Enter key. To show all application icons installed, press Super key (this shows all running applications) and press Show Applications button (located at the left edge of screen). To browse files, open the file manager program. 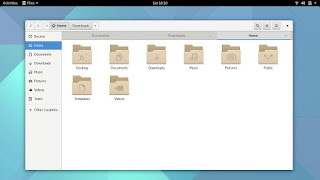 GNOME named it Nautilus File Manager, and now its called Files instead. Press Super key and search for "file manager" you will find Files program. You can also run file manager from left edge panel, from the shelf icon. To compress files or directories, in the file manager, select the files, right-click one file selected, select Compress, and press Create button. You may choose three compression format by default: .zip, .tar.xz, and .7z. To rename multiple files at once, select a number of files, right-click (or F2), select Rename, select renaming pattern (e.g. [1,2,3]), and then press Rename button. This feature is already integrated in Nautilus. The Nautilus file manager has two mode: thumbnails mode and detailed list mode. You can change this mode by clicking the middle button of three buttons at top-right corner in Nautilus window. 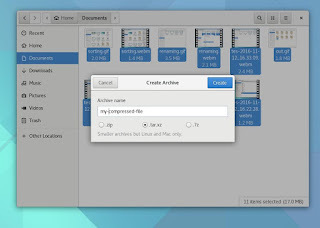 The Nautilus file manager has been improved by using a single-unified meny to do different tasks of file management, in the right-button from the three buttons at the top-right corner. GNOME has its own "application store" program, named GNOME Software. This program is equivalent with Google Play Store in Android or Apple App Store in iOS. To install an application, run GNOME Software program and search for application name and then press Install button. Make sure your computer is connected to the internet while installing. 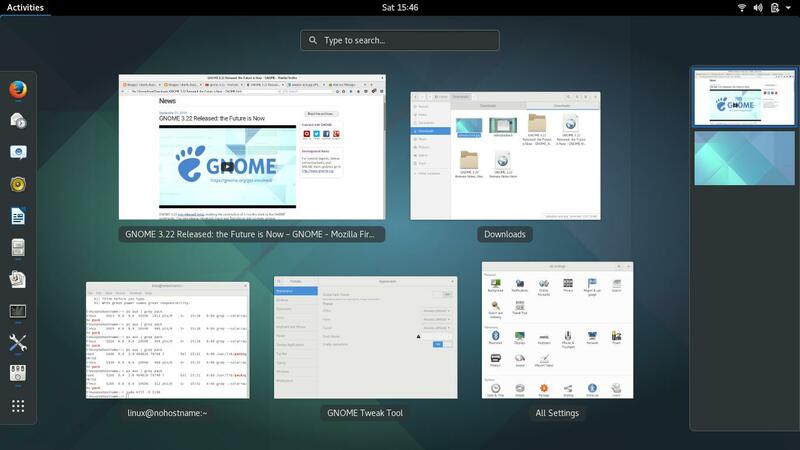 GNOME Software has more colorful interface now, and it supports Flatpak package installation. 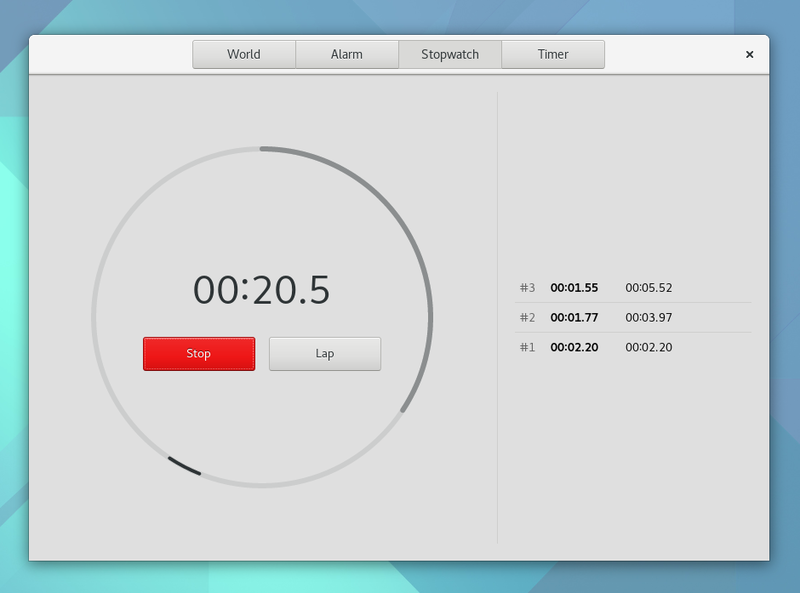 GNOME Clocks is the name of this awesome software, providing you 4 features: world clocks, alarm, stopwatch, and timer. 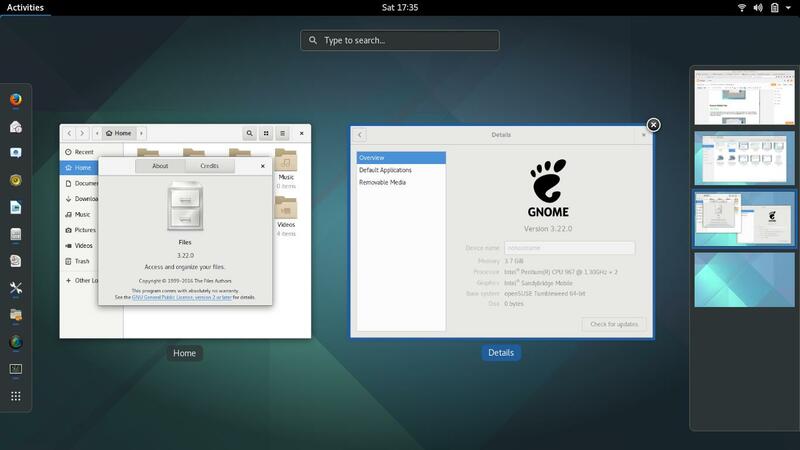 It's amazing for a desktop like GNOME to bring this facility by default. 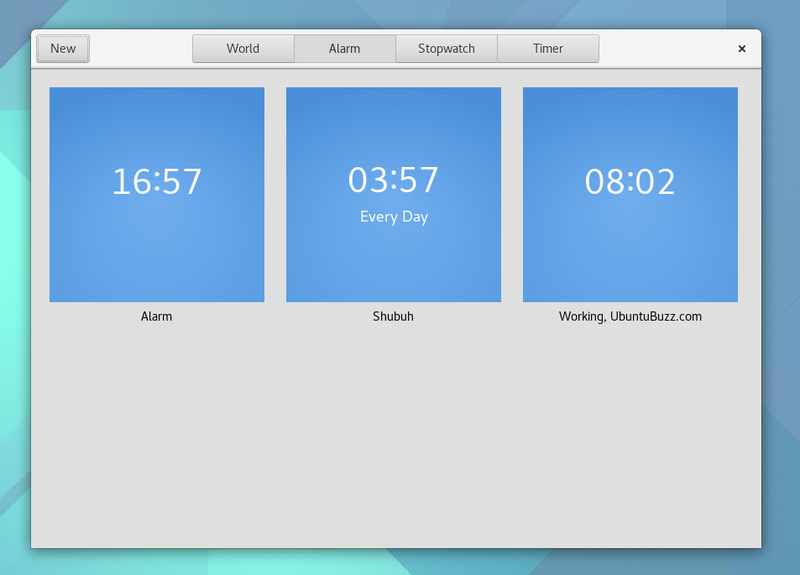 Now you can, for example, doing pomodoro concentrating or wake up in the morning using your GNOME in your GNU/Linux. 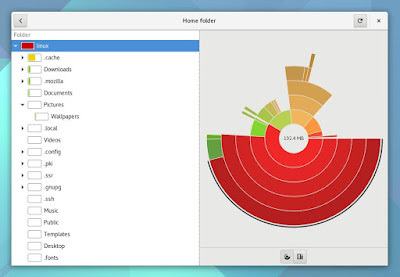 GNOME Disk Usage Analyzer (or GNOME Baobab) is a disk capacity viewer for desktop. It shows you all folders in your system and point you exactly what folder eats your space the most. It is greatly useful while doing examination to your own disk capacity.